Maria Sharapova insists she is not finished as a Grand Slam force despite her worst ever performance at Wimbledon. 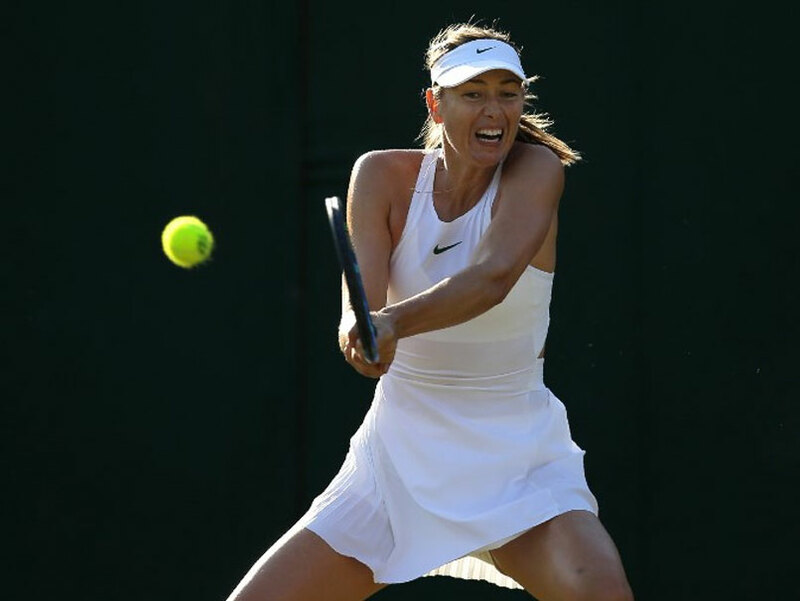 Maria Sharapova insists she is not finished as a Grand Slam force despite her worst ever performance at Wimbledon, a tournament which should be her perfect showcase. 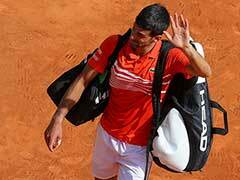 The 31-year-old gave up a set and a 5-2 lead to lose in the first round on Tuesday to fellow Russian Vitalia Diatchenko, an injury-plagued qualifier ranked a lowly 132 in the world. Diatchenko, who needed treatment on her back on three occasions, celebrated an unlikely 6-7 (3/7), 7-6 (7/3), 6-4 triumph after more than three hours on Court Two. 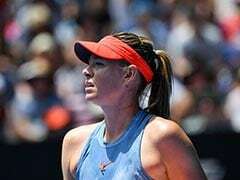 The match ended in twilight, a fitting metaphor for Sharapova who slipped to her first ever opening round defeat at the All England Club where she first burst upon the scene in 2003. One year later, as a 17-year-old, she stunned Serena Williams to capture the Wimbledon title, the first of her five majors. However, she has been back to the Wimbledon final only once since 2004, losing to Petra Kvitova in 2011. Before Diatchenko, there had already been some embarrassing howlers -- in 2008, losing to Alla Kudryatseva, ranked 154, then to world number 45 Gisela Dulko in 2009 and to Michelle Larcher de Brito, a 131st-ranked Portuguese qualifier in 2013. This year was Sharapova's first appearance at Wimbledon since 2015 having been sidelined by a doping ban in 2016 and injury last year. 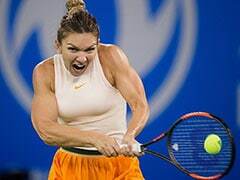 Since her return from suspension, her Slam record stands at a last-16 run at the US Open, third round in Australia and a quarter-final place at Roland Garros. 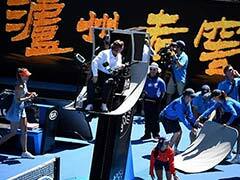 Steady, not spectacular but Sharapova insists there are positives. "I have to take away the things that didn't work well for me and get back and work through those, look for my next opportunities," said Sharapova whose fate was sealed against Diatchenko when she served up her 11th double fault of the match. Tuesday's loss was her first opening round exit at a Slam since Australia in 2010. Before that, her only other first-up losses came in her maiden season in Melbourne and Paris in 2003. 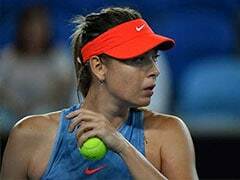 Sharapova, who decided not to play the Birmingham grass court warm-up event, admitted that the passing years pose a new challenge. 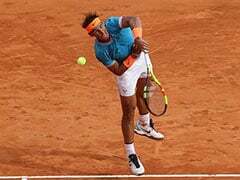 "I always find the transition from clay to grass has been a little bit tougher for me as I've gotten older," she admitted. 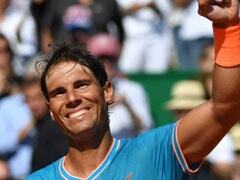 "That's just a matter of training, getting through the soreness in the first week or so. There's no perfect formula." Since her return to the tour in April 2017, Sharapova has added just one more title to her career tally -- at the low-key season-ender in Tianjin. She also suffered a mini-slump this year, losing three first round matches in succession at Doha, Indian Wells and Stuttgart. She now stands at 15-9 on the season. 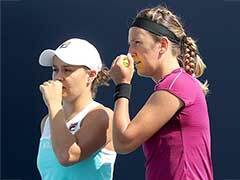 "At this moment, my competitive desire is not great," she said in the aftermath of her loss to Diatchenko. "It's always tough to assess motivation after a first-round loss. There's no doubt that when I will -- I don't shy away from mistakes and errors, looking back at film, learning from what went wrong. "It's not always pleasant moments, but sometimes those are the ones you need to get better."